The letter comes as the “#MeToo” movement has rippled across America, and as allegations surfaced last week of sexual harassment involving two ex-lawmakers. 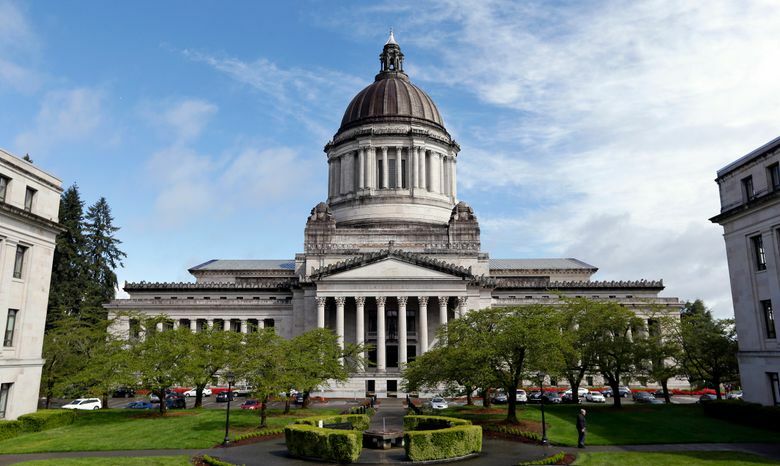 OLYMPIA — More than 170 women have signed a letter calling for a shift in workplace culture at the state Legislature to end inappropriate behavior and sexual harassment. The letter comes as the #MeToo movement has rippled across America following the numerous accusations against film executive Harvey Weinstein, and as allegations surfaced last week of sexual harassment involving two former lawmakers. Addressed to Democratic and Republican legislative leaders, the letter is signed by a bipartisan list of former and current lawmakers, lobbyists and legislative staffers. “At some point in our lives, every one of us has experienced, witnessed, and counseled others through unwanted advances or a range of dehumanizing behavior — from innuendo to groping, from inappropriate comments and jokes to unwanted touching and assault,” the letter says. It also pledges that if women in Olympia need to talk about harassment, they can come to any one of those who signed the letter. One of the signers, Rep. Laurie Jinkins, D-Tacoma, said she was surprised at how many women were willing to sign on. The letter comes after accusations emerged last week that two former Democratic House lawmakers sexually harassed or assaulted women several years ago while the legislators were still in office. The House in January began a review of its harassment policy, which was not sparked by any incident, House Majority Leader Rep. Pat Sullivan, D-Covington, said. “We also want to work with the other caucuses, all legislative staff, and lobbyists so that our efforts are coordinated throughout the Legislature,” the statement said. Also Monday, Gov. Jay Inslee sent a letter to state employees saying he has asked agencies to make sure workers know who to contact when instances of harassment occur. “We are taking a serious look at everything including new employee orientation, the types and frequency of training we provide employees and supervisors to the options employees have to seek advice, support or help,” the letter said.